"A pure devotee follows in the footsteps of the gopis and worships the gopis as follows: 'Let me offer my respectful obeisances to all the young cowherd girls, whose bodily features are so attractive. Simply by their beautiful features they are worshiping the Supreme Personality of Godhead, Krsna.' 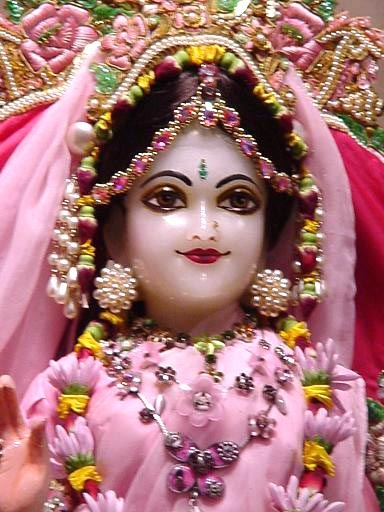 Out of all the young gopis, Srimati Radharani is the most prominent."